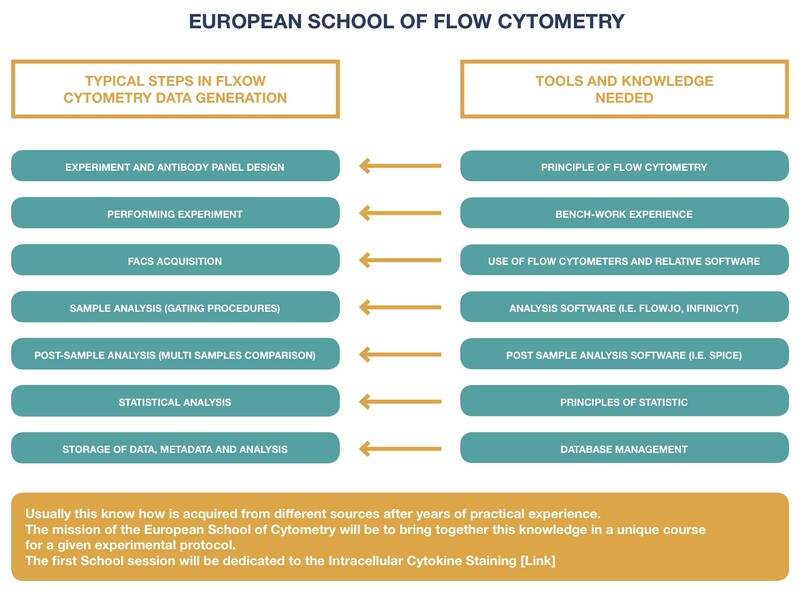 Different “training” or “education” actions have been recently organized or are weekly given by the FlowCyTech platform of IDMIT, to improve flow cytometry knowledge. To improve flow cytometry knowledge, the FlowCyTech platform of IDMIT, organizes an “on demand” training program. Voltage setting … Please feel free to contact us for any further question. Lyon (France) is proud to host the 22nd edition of the AFC Congress, which will take place from 17 to 19 October 2018 at the Palais des Congres. At this 22nd AFC Congress, a special session will be around microbiota, both in terms of technological advances and therapy. Note also, that the practical workshops will take place on the day of 16 October .For more informations (detailed program and registration) click here! A two phases INSERM workshop dedicated to “Flow, mass, spectral cytometry and analysis tools for mutliparametric data analysis” will be held in September (Phase I – Critical Assessment/25-27 September in Bordeaux/France) and October (Phase II – Technical Workshop/October at different location in France). For more informations (detailed program and registration) click here! Thursday 2 February, the French Association in Cytometry (AFC) will organize a thematic day of oral presentations about Mass-Cytometry. It will take place down Paris (France) at the Hotel Paris Est 75010. Following 12 lectures, a roun-table/discussion will be organized. For more informations (detailed program and registration) click here! Wednesday 8th and Thursday 9th June 2016, the French Association in Cytometry (AFC) will organize two part ice/application days in cytometry. It will take place down Paris (France) at the Cochin Institute. These days will be shared in two parts: lectures in the mornings, followed by workshops in the afternoons. For more informations (detailed program and registration) click here! More recently, the “FlowCyTech” group has been associated to the theorical and practical organization of a first National Inserm Workshop on “Cytometry”. Friday 6th November 2015, the third nTAïDA workshop will focus on Flow Cytometry standardization and automation. It will take place down Paris (France). Two IDMIT researchers have been invited to give lectures. For more informations (detailed program and registration) click here! In addition, the IDMIT FlowCyTech platform, organized in 2011, an European School of Cytometry (FlowSchool) opened to investigators. This course focused on “Intracellular Cytokine Staining” covered the theoretical and practical aspects of this specific domain, starting from the set-up of antibody panels, performing the experiment and analyszing data. The three links below, will allow technicians, engineers and researchers to improve their knowledges in the field of in vivo imaging. IDMIT national infrastructure joint in 2015 the Innovative European Master in Vaccinology. A new Erasmus Mundus – Joint Master Degrees granted by EACEA, the Education, Audiovisual and Culture Executive Agency of the European Commission, entitled “Leading International Vaccinology Education” (LIVE), has started in 2016. The general objective of the new LIVE program is to train the next generation of vaccinologists who will have to manage an increasing number of infectious and non-infectious vaccine targets for many important issues: unsolved and still emerging infectious diseases, immune-senescence in an era where there is exponential aging of the population, non-infectious but immune-related diseases (e.g. allergy, cancer and chronic inflammatory diseases such as atherosclerosis, obesity, diabetes, addictions…). Such needs parallel the global need to decrease health care expenditures while increasing quality and health care outcomes. Meeting these needs starts with providing the funding, teachers, excellent training and career pathways for smart and dedicated students who will devote their professional careers to Vaccinology. LIVE is a two-year program for talented and motivated students interested in multidisciplinary studies in Vaccinology. It is a joint project between five European universities (Barcelona, Antwerp, Saint-Etienne and Lyon), each one awarding a Master degree of excellent quality. Academic internationality is enriched by a worldwide network of 12 academic universities from Brazil, Canada, China, Cuba, Europe, and USA and 13 industrial partners and vaccine manufacturers. LIVE students will develop a trans-national appreciation for vaccine issues by in-residence participation in educational activities in at least three different countries during the program. Graduates are also well prepared for doctorate research in Ph.D. programs funded by associated partners. We anticipate that the LIVE program, designed as an interdisciplinary teaching approach and an internationally composed student community, will provide students with these five fundamental keys to engage in successful careers in vaccinology and to build an international network of professionals who will help to solve the current and future challenges of the field. The entire program and deadlines for applications for the first year of enrollment will be announced on the LIVE webpage. Further information on this unique program can be found at: “Leading International Vaccinology Education” (LIVE). –> Every year, IDMIT welcome the LIVE Master Students for teaching and practical courses. IDOH (Infectious Diseases and One Health) is a partnership of some of Europe’s leading research-intensive universities in the field of infectious diseases and the “one health” concept. The three founding partners are Université de Tours, Universitat Autònoma de Barcelona and the University of Edinburgh. The IDOH consortium is aiming to offer innovative postgraduate programmes in infectious diseases emphasising the three aspects of the one health concept: humans, animals and the environment. The IDOH MSc programme involves mobility of students among the partners and associate partners. There will be a maximum of 24 students in each intake, ensuring that all students receive the highest level of teaching and interactions with staff at all three institutions. IDMIT made in 2018 four IDOH-Internship Proposals: by Drs Anne-Sophie Beignon, Elisabeth Menu, Marc Labetoulle & Benoît Favier. This day is an important opportunity for the doctoral students (second and third year of their PhD) and the post-doctoral researchers, to present in English their projects, results and perspectives to the IDMIT/ImVa staff, and to exchange and and discuss with IDMIT/ImVa colleagues. To see the programmes please click on the corresponding year: 2015, 2017, 2018.